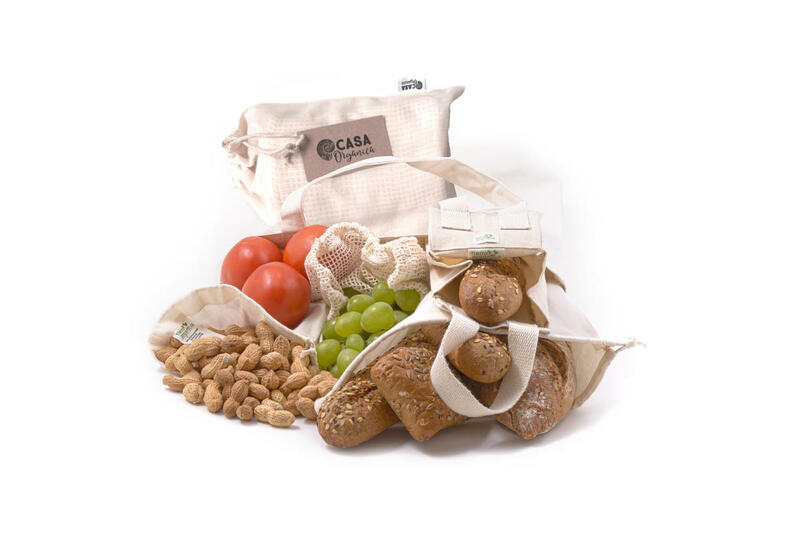 The set includes a sturdy canvas shopping bag, a fruit / vegetable mesh bag, a small bag of fine bread rolls, a bigger bag of thicker bread cloth and a bag of thicker baguette cloth. Everything from bio-cotton. Weight of the set is about 300 g. Organic cotton is approved for food use. Subject * Product inquiry Set Farmers' Market (4 types of bags and shopping bag) 5 pcs RMA Misc.